I had been looking forward to our scheduled visit to the Vermont State Park at Kingsland Bay not just because it has great history and we had not brought the schooner there before, but because it is located in Ferrisburgh, my hometown. Well, Hurricane Irene hit the region just before our scheduled August visit and so as we rescheduled the post Irene portion of the tour we arranged to visit on October 8. On reflection, while Irene was devastating to so many, it was only inconvenient to us, as we were able to safely ride the storm out on the Otter Creek at Vergennes. We even found a bit of a silver lining in being able to join forces with the crew of New York Canal Corporation’s historic tugboat Urger and arrange for more stops for school groups in the reconfigured schedule. It also put us in a position to visit Kingsland Bay during perhaps the nicest weather of the season and dedicate our visit to support the Vermont Farm Disaster Relief Fund. So many farmers were devastated by the hurricane and with our “Farm, Forest and Fishery” mission, we at the museum wanted to help. We talked over the idea with Vermont Parks Commissioner Craig Whipple, who was totally supportive of the idea, and he and his staff did all they could to support the idea. Saturday turned out to be one of the nicest days of the year and with warm sun and light winds the community gathered to hear music, sample Lake Champlain Chocolate, Green Mountain Coffee and Cabot Cheese and talk history aboard the Lois McClure. It proved to be a very special day for all who participated. Surprisingly, many of the visitors who came aboard the schooner mentioned they had never been to Kingsland Bay State Park. This opportunity to share this gem of a park with new people was very satisfying, especially when the we reflect on the early settlement of the bay. I had the opportunity to study Kingsland Bay some years ago when we designed a small exhibition for the historic Stone House on the property and what I learned then was an exceptional illustration of a place that has touched on many of the important chapters of the Lake Champlain story the museum is devoted to preserving and sharing. The stone building which dominates the site was erected circa 1790 by a man named Gideon Hawley and for many decades the bay was known as “Hawley Bay”. 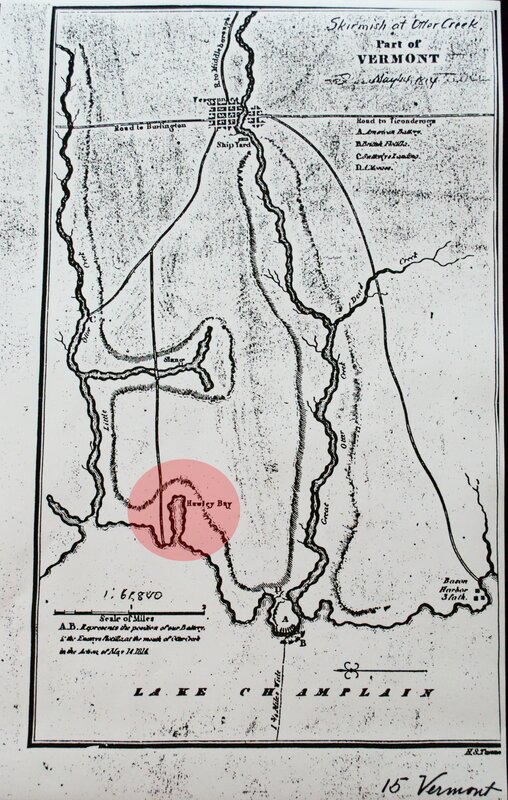 Gideon Hawley, like many early settlers from our region, migrated to Vermont from Connecticut, but Gideon was very familiar with Lake Champlain and to us because Gideon Hawley had fought here during the Revolutionary War. In fact, Hawley had been the Captain of the Royal Savage, Benedict Arnold’s flagship at the Battle of Valcour Island. After the war, Gideon purchased the bay from his father Aaron and permanently moved to Ferrisburgh too farm, raise a family and operate an inn for the people crossing on the ferry that terminated here and at Grog Harbor on the New York shore. 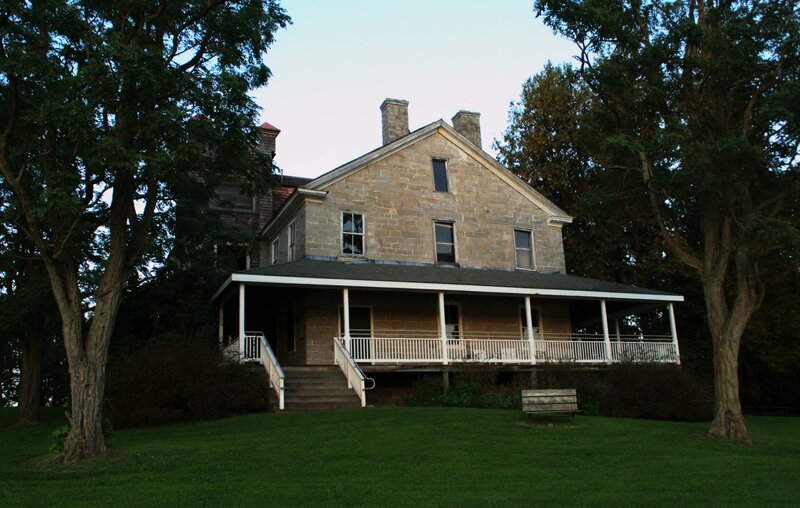 During the War of 1812, militia were stationed on the Hawley farm to protect American shipbuilding taking place at Vergennes and when the pivotal Battle of Plattsburg was about to unfold, a patriotic Gideon Hawley, his three sons and the local militia embarked from this bay to join the fight. Family records report that Gideon, who had fought at nearby Valcour Island some 40-years earlier, received wounds that in the months ahead would prove fatal. As I contemplate the upcoming Bicentennial of the War of 1812, it is the story of Gideon Hawley and so many other forgotten participants that will bring the story to life. Being moored at the dock in front of Gideon’s magnificent stone house, we were able to share his story with our visitors. 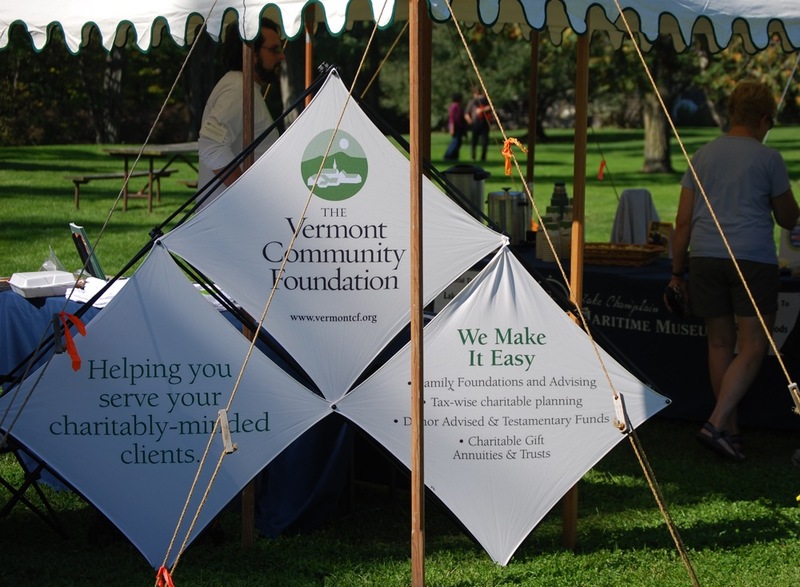 Our Farm Relief event was planned in short notice and could not have happened without the support and encouragement from Vermont State Parks and of a number of people and institutions. The Vermont Community Foundation enthusiastically organized the fundraising details, and Addison County musicians donated their time and talent to entertain and show their support for their neighbors. A special thanks to our own Elisa Nelson for her organization of the event and to Matt Witten, Lake Champlain Troubadour, who arranged for the musicians. Our special thanks to event sponsors All Earth Renewables, DR Power Equipment and Yandow Sales and Service for their support, and to our musicians, the Swing Peepers, Josh Brooks, Rick Ceballos and Matt Witten, Frost and Fire and the Ridge Runners Brass Band for their great music and contribution.